A life of luxury! 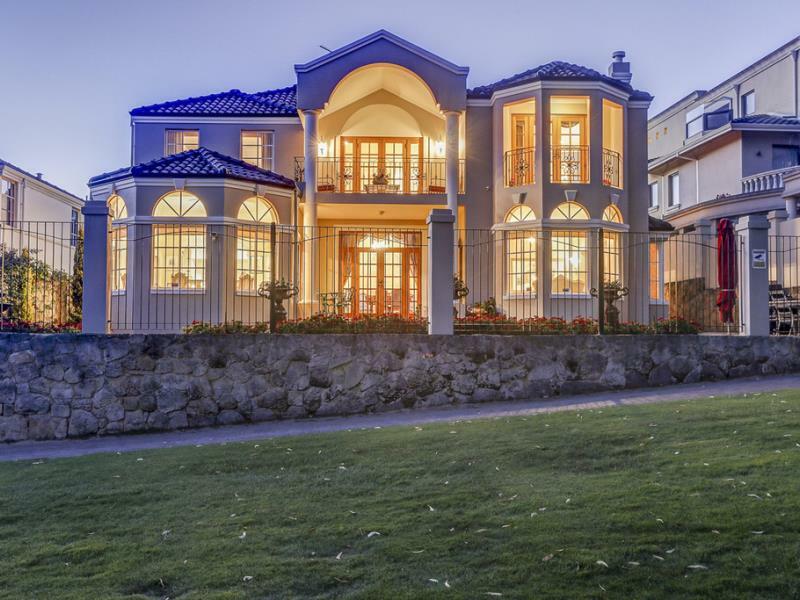 With exquisite detail and grand Parisian style, this spectacular home takes you on an extraordinary journey. 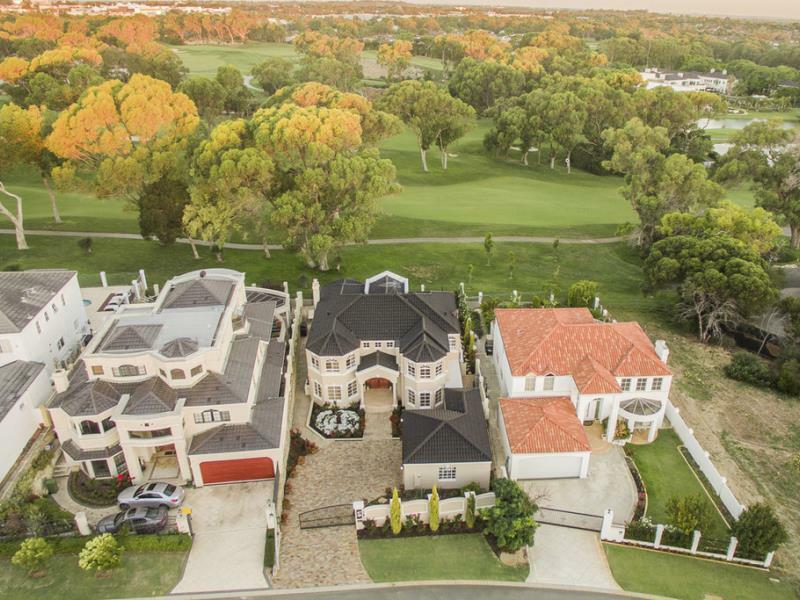 With stunning views out over the lush fairways of the Joondalup Country Club, it's a rare home of astonishing beauty with the added advantage of approval for foreign investors. Making this your new home will include exclusive membership to the Joondalup Resort and Golf Course. Enjoy panoramic views out over the Lakes 9 of the championship golf course. You can walk from your private gate to the 9th fairway down to the club's cafes and bistros for dinner, or book in for a round. The majestic residence has been renovated to create a picture-perfect exhibition of elegance and tasteful refinement. No expense has been spared to ensure consistence of quality throughout. Enjoy the opulence of artisan craftsmanship in spacious living areas which look out to the lush vista. Two symmetrical lounges enjoy genteel separation and are linked by a formal dining room which has French doors to the garden. The gourmet kitchen offers timeless style and is perfect for entertaining. Highlights include parquetry floors, antique French light-fittings, stunning marble-slab bathrooms, trompe l'oeil effects and arched doorways. Modern amenities have not been overlooked and include excellent security and ducted air-conditioning. The main bedroom offers a decadent retreat with a private balcony and views down to the lake. A luxurious en -suite will seduce you with its space, superb marble, and claw-foot slipper bath. This is the life of which you've always dreamed! All four upstairs bedrooms have fitted built-in robes, and the downstairs guest bedroom has an outlook to the front garden. The bathrooms are beautifully detailed with full height slab-marble and top-quality tapware. 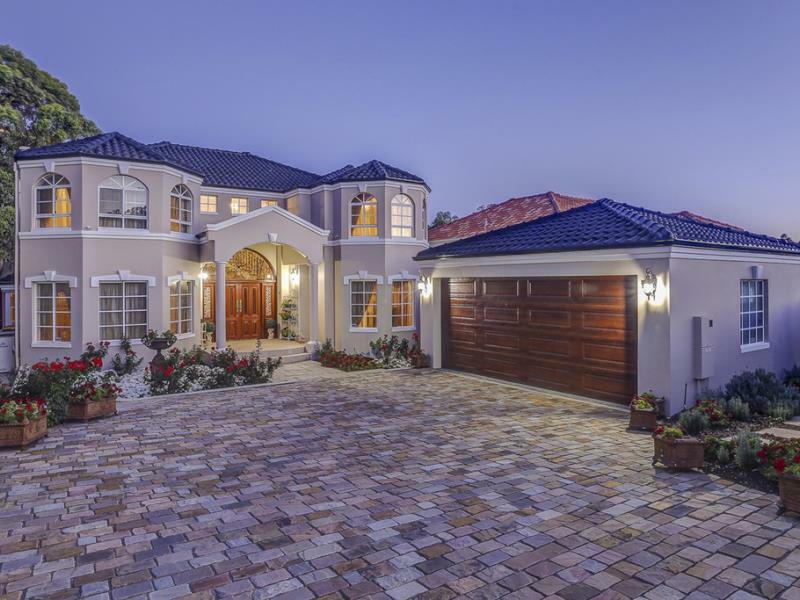 Immaculately presented with flowering garden beds and a freshly painted exterior, this home stands out from the crowd with its dedication to grand European tradition. You won't find anything else like this! Features: entrance foyer, lounge, dining room, living room, gourmet kitchen, study, upstairs lounge with balcony, alfresco areas and gardens, main bedroom with BIR and luxe en-suite, 3 double bedrooms and bathroom upstairs, guest bedroom and bathroom downstairs, wine cellar, laundry, walk-in storeroom, double garage. Quality fittings throughout include: zoned-ducted air-conditioning, timber parquetry flooring, top-quality security - including interior and exterior CCTV, electric gate, ducted vacuum, NBN ready, gas fireplace, high ceilings, sumptuous window treatments, artisan painting features, detailed door furniture, antique French light fittings, marble-slab bathrooms, frameless glass showers, clawfoot bath, Falcon range-oven with electric and gas hotplates plus turbo oven, granite stone benches, reticulated gardens, Dunsborough stone paving, excellent storage, gate directly to golf course. Close to Currambine retail outlets, restaurants, cafes and cinema and one of Perths largest shopping malls at Lakeside Joondalup, with easy access to the Mitchell freeway in less than 2 minutes and the train stations of Currambine and Joondalup just 5 minutes away. Easy access to ECU and close to a number of quality primary and secondary education establishments.